The Best Digital Photography Blogs from thousands of Digital Photography blogs on the web using search and social metrics. Subscribe to these websites because they are actively working to educate, inspire, and empower their readers with frequent updates and high-quality information. Digital Photography newsletter is a comprehensive summary of the day's most important blog posts and news articles from the best Digital Photography websites on the web, and delivered to your email inbox each morning. To subscribe, simply provide us with your email address. Seattle, Washington About Blog The number one destination for everything digital photography related. Find all the latest digital camera reviews and digital imaging news. Lively discussion forums. Vast samples galleries and the web's largest database of digital camera specifications. Facebook fans 101,462. Twitter followers 112,240. About Blog Nasim Mansurov is the author and founder of Photography Life. Photography Life provides various digital photography news, reviews, articles, tips, tutorials and guides to photographers of all levels. Facebook fans 360,547. Twitter followers 13,999. About Blog Founder Darren Rowse is a digital photography enthusiast who created the site to share tips for photographers who want to get the most out of their cameras. Facebook fans 860,635. Twitter followers 398,728. About Blog We’re Ben Long and Rick LePage, photographers, trainers, writers and editors with more than 40 years of experience between us in the world of digital photography and printing. Facebook fans 968. Twitter followers 1,098. New Hampshire, United States About Blog Digital Photography by Jeffrey Newcomer. Focusing on getting it right in the digital camera. Featuring photography in New England. Facebook fans 12,325. Twitter followers 14,133. Facebook fans 14,135. Twitter followers 5,659. Berkeley, CA About Blog Harold Davis is an internationally-known digital artist and award-winning professional photographer. Davis picked up a camera again and was delighted to find that he could combine his love of painting with his love of photography by starting with digital captures and using digital painting techniques to enhance his imagery. Facebook fans n/a. Twitter followers 554. Near the New Croton Dam About Blog A tireless, prolific and inspirational image-maker, Rick, called by some “The Godfather of Photography,” is one of the most active photographers on the planet. He is a man on a mission – a mission to make digital photography fun, creative, exciting and rewarding for others. Facebook fans 9,280. Twitter followers 114,387. About Blog Joe's photography is in Texas Monthly’s 100 best photographs, and he has been on Adweek’s Southwestern All Star Team. Cape Town, South Africa About Blog The Orms vision has always been to provide professional and amateur photographers alike with the best and latest gear at reasonable prices, and to stock the largest range of products. Facebook fans 80,352. Twitter followers 16,547. About Blog Mr Ballew's Digital Photography Blog helps you keep updated about the daily post and articles about photography. About Blog Hello, I am Gavin and I built this site to help amateur and budding professional photographers get better at their craft. We can all benefit from some collaboration and learn a thing or two along the way. 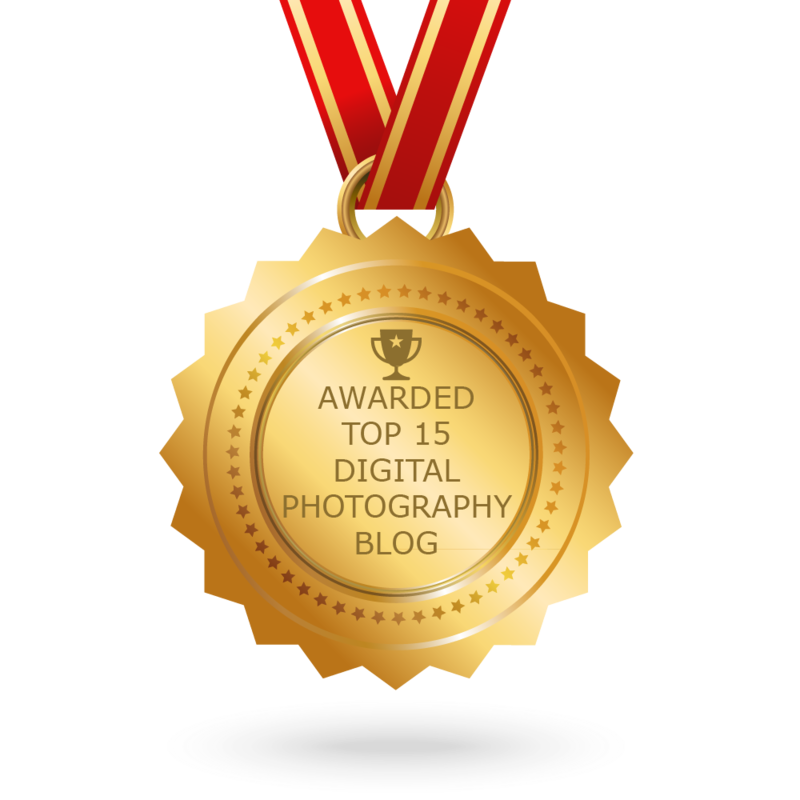 CONGRATULATIONS to every blogger that has made this Top Digital Photography Blogs list! This is the most comprehensive list of best Digital Photography blogs on the internet and I’m honoured to have you as part of this! I personally give you a high-five and want to thank you for your contribution to this world.